Dr.Web 11.1.2 CureIt! (2019.02.24) Portable » TopFreeSoft.Net - Best Freeware Software! Recently virus makers have been implementing various malware self-defense techniques to avoid detection by anti-virus applications ? ?“ these are so called rootkit technologies. Dr.Web for Windows features a new scanner component to counteract rootkits called Dr.Web Shield. Implemented as a driver it allows detecting viral objects that hide in the kernel of an operating system. The virus database is updated as soon as new virus entries are added ? ?“ as often as several times per hour. A hot update is released once the analytical laboratory has examined a new threat. The global virus monitoring service promptly receives new viral samples from all over the world. Dr.Web for Windows has extremely low system requirements and is fully compatable with most versions of Microsoft Windows, starting with Windows 95 OSR2 and up to Windows Vista (32-bit architecture only). 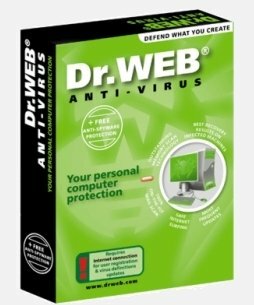 Dr.Web anti-virus has the smallest distribution file among leading anti-virus products ? ?“ it is about 13Mb and it requires as little as 12-15Mb of free disk space. Dr.Web system load is very low so it runs perfectly on older machines. Perhaps you have a laptop? Then Dr.Web is your only choice! Dr.Web for Windows has very simple installation procedure, doesn? ?™t require extra configuration and is easy to use. It fully complies with plug-n-play principle.